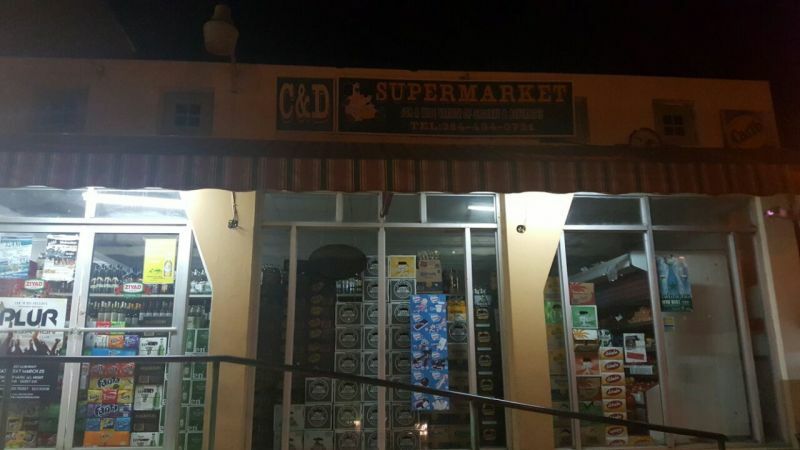 HANNAH’S ESTATE, Tortola, VI- The C&D Supermarket in Hannah’s Estate in Sea Cows Bay, Tortola is the latest business establishment to be robbed. At about 10:45 PM on April 22, 2017 a lone gunman held up one of the owners of the supermarket and made off with cash. According to reports reaching our newsroom, the gunman pounced as the owner of the establishment was about to close the business for the night. Police were on the scene moments later conducting their investigations. 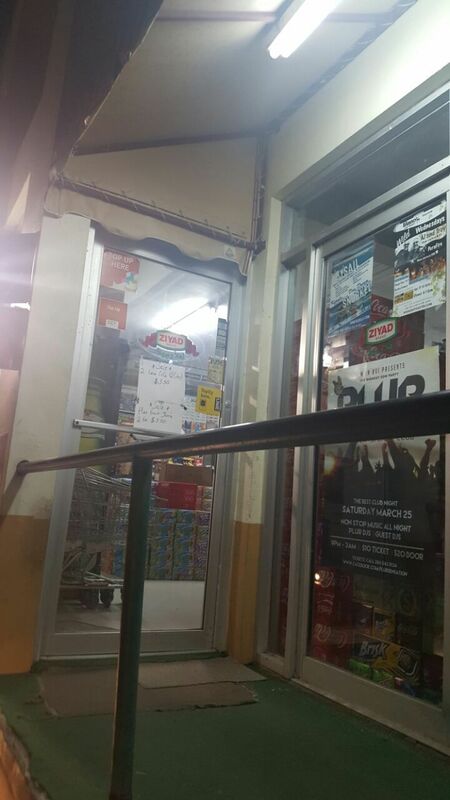 The robbery of C&D Supermarket comes on the heels of a lone gunman robbing Riteway Food Markets in Road Town, Tortola on April 19, 2017. On March 30, 2017 a lone gunman also robbed the Lower Estate Superette on the main island of Tortola. No one was injured in the three recent armed robberies. You need to think before you talk at your age..
@foolish statement at its best. And the thing is that this fool who call himself wize-up says he is an ex-police. I am a BVIslander/Belonger. You outta order. It's a matter of time. The headlines will soon be gunman nursing wounds or gunman killed in attempted robbery. Nothing happens before its time! @ Mouse, everything takes time. Yes, one of these robbers is going to get hurt. When one of them get blown away you choke on the word coward. Yes, I the Head Rat and business owner said it. Let them try it with my business and we will see who the coward is. Remember, everything takes time. I the Head Rat and business owner is just lying in wait for the thieves to try and hit my business then all hell is going to break loose. Very sad the way that people are trying to make a living. Very sad how this new culture is endorsed by so many people. I never seen anyone from VIP or NDP doing these things. People should post positive post towards the crime etc that's affecting us and hope the persons involved in the crazy stuff see it and feels guilty. Sadly ain't everyone want to look soft by speaking on social issues....... it's not cool to endorse crime. I've been a high school dropout student longer than I've been an entrepreneur/businessman and had to excuse or reasons to Use a gun or rub anyone or push drugs. I've packed bags Bobby's, wash dishes at restaurants/ pump gas, labor in construction etc. there's lots of legit ways to make an income to without causing harm to ourselves or to others. Sadly not all young people have the Gumption to step out and up and be an example and sadly those who do step out and up tends to get try get discouraged by the already sad individuals. I see many of your post where you even try and I say try to diss your local brother when they make statement on local social issues and here you are preaching SAD. I, in no way, shape, or form support crime but many of this nonsense is happening because of the example set by those white collar crooks at the top but they don't get no accusations because they laugh up with you and big you up on your accomplishment from a billionaire hand out. Why don't your billionaire friend invest their money on fighting crime on all levels that they live in the same society around??????? Because they are caught up in buying those same white collar crooks (Government Officials) out so they can get what he wants also but what the territory needs are jobs and other educational incentives to encourage and divert these young thugs from what they are doing. Big ups to you on the path where you came from to what you are today but again who feels it knows it and if you are not guilty of any crime in the past, pick up a stone and throw it at those who are living hell on earth here in the BVI right now. You will say you haven't committed any but I will say that you did not get caught cause I know you well. Stop feeling pitty and tell those influential billionaire friends of yours to step up because you brothers and sisters are hurting from all angles. No VIP and NDP talk crap. Talk PPP (People Power Party) with your billionaire friends. Remember you could become a target also doing your business. Help save our youths because without them there is no country. A hard working Business Man who know you from small. @Gumption.Official - thank you for the message. I've acknowledged it and yes I have a pass. Due to my past I have a possible positive future. Since you know me from small and know how I'm as I don't hide. Please pull me up and let's talk! If you really care and support the movement then talk to me face to face. Link up soon! Are you trying to say the young men and or women who are committing these crimes is because of financial hardships? The BVI is one of the richest islands in the Caribbean - it may not seem that way but it is. These wanna be thugs are doing this for sport. If you are having hard times, there are many other positive ways people can help you. People who are having hard times, don't have means to smuggle guns, people who are having hard times, don't have $800 cell phones and the latest brand purses and shoes. Please, we are not a country struggling that bad the way we as people present ourselves in our daily lives. I bet, if someone was to describe the gunmen shoes, he was not bare foot - he had on the latest Nikes - stop making excuses for wanna be thugs. @gumption.Offical. The individuals who's doing the things their doing have made a choice of how they would like to make a living. So many things can push and motivate someone to do the things their doing. A new trend have affected the BVI that's the always on (Fleek) movement where you have always have on the latest items ect and push those who can't afford it but be in thing to push their boundaries and said due to not want to work an legit job then steeling from hard working people or striving people/businesses have become their choice. However we're not given up on our country/community is the key.... something's are temporary. allow shop owners to carry . no one else is doing anything at all . residents are too timid to to out the little punks they know who are doing this and the police .... enough said . shop owners protect your own ....no one else is . take out the lazy human garbage when they try to rob you . sad it is coming to this in our country..... very sad . but it is apparant no one really cares because the punks are someones nephew . If there is no jobs and the rich getting richer what u expect? C&D I'm so sorry for that unfortunate situation...Who is next? . Honestly it seems like neither the government or the Police have any plan to deal with this weekly actuvity of Robbery....They are failing us.. it's ok to make excuses about needing money and the public need to talk. Those are Excuses not to work. Where is the plan.? It has too stop or all of us will suffer in the end. I guarantee the Arabs will be prepared next time. Who ever it is or they are we will soon no. No need to speculate..It just needs to stop. Trust me soon we will find one or two of them shot dead in the process of robbing. Just a matter of time. Then the speculation would be over. We will know. I guess the waste of time Haitian went home already...waste of time security. It is time that we allow businesspeople to hire arm security or carry licensed firearms. To many armed robberies are in our little Island. They occur in St Thomas but not as frequent. It's always two gun men committing those robberies why all of sudden you hearing one now. Where is the other one is he in jail or is this a copy cat? You thinking deep. Maybe he is dead for being Greedy. Or not trust worthy. This one think it's best to get rid of him and do it himself...No one to share with. No one to Rat. Dear Thiefs: I am waiting for you to come to my business to rob me, I know it is only a matter of time you are going to hit my business because you keep doing it and you seem to think it is easy. You might get in but you will not get out. Just like you planning for me, I am planning for you. I'm not going to kill you but I am going to take you out back and use my chainsaw to remove your hands and private parts. Fair Warning. While my opinion is a lot of these crimes are being committed by locals....both the natives and the I born here.......the issue is not who doing it but more as to why? @123, that is what you think. Everything is for only a time. All of them will be handled soon. They want to rule streets? They want to play gangster? Why don't they go to Chicago if they want to rule streets. These guys need to look for work to do rather than watching hardworking members of the community and stealing --- in the end we are destroying our own selves. Wake up guys...destroy our national security and economy with theft and crime and you ultimately destroy yourself. Security personnel need to be armed. Then we will see change. No! This is not good for our peaceful BVI. As a matter of fact, this is among the things that have led to the moral decade in our nation. To make it worse, it desecrates the day our once beloved nation used to call holy. It is nothing but a mockery.